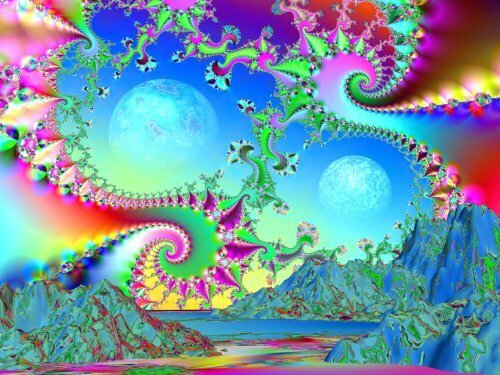 Every post I do about psychedelic music must be prefaced by a piece of computer psychedelic artwork. It is a necessity. Over the past couple of weeks, I have put together posts for the section entitled “60’s Psychedelic Experiment – What is 60s Psychedelic Music.” The section has explored numerous types of psychedelic music. Most similarly to Indie music today, Psychedelic music was a fad genre that took on several sub-genres. I say “fad” genre because it is not a main modern music genre like pop, rock or blues. Psychedelic music was a rather obscure genre that took shape because of its temporary popularity. I love psychedelic music. It is one of the reasons why I first got into listening to true classic rock (rock before 1973 with the exception of a few bands like Boston and Thin Lizzy). The question that I pose in this poll is what is the best type of 1960s psychedelic music. There are more sub-genres than options in the poll below, but since psychedelic music spawns genres within genres (an Inception twist), I’d rather keep it simple. Plus, remember, we are not including sub-genres like Kraut Rock, Art Rock, and Progressive Rock, because besides a few early examples, these sub-genres burgeoned in the 1970s, uncharted territory for this post. Below are a few big sub-genres that contain most psychedelic songs. I will include an example of the genre as well. Happy Voting. What is 13th Floor Elevators playing? That tube thing? That is an electric jug of Tommy Hall. Hall created vocalized sound with the jug that gave each song an underground stutter. They are an interesting band with firm roots in the psychedelic movement and the electric jug makes them even cooler!